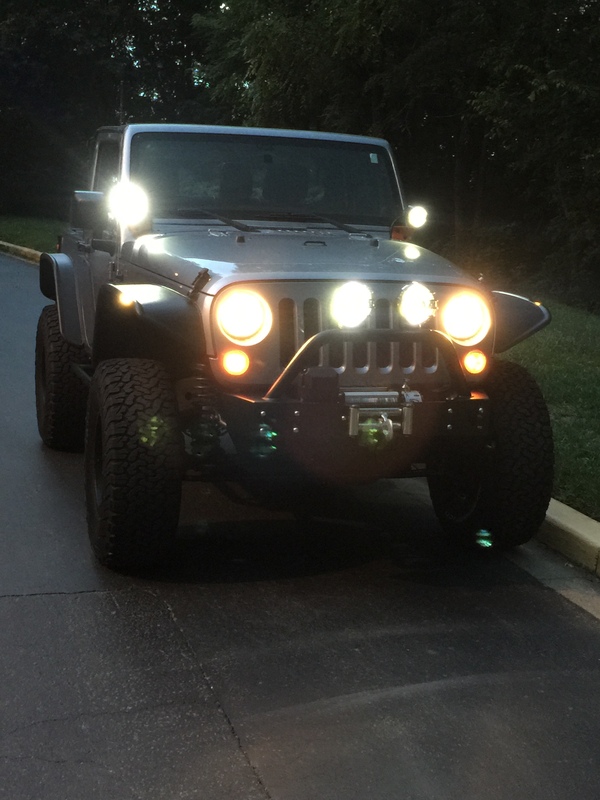 Nothing tops off a great Jeep Build like a good lighting design. Call me old school, but I was interested in sticking with the classic look of round lights. I was also interested in checking out some of the new LED lighting technology, but how to marry the two? 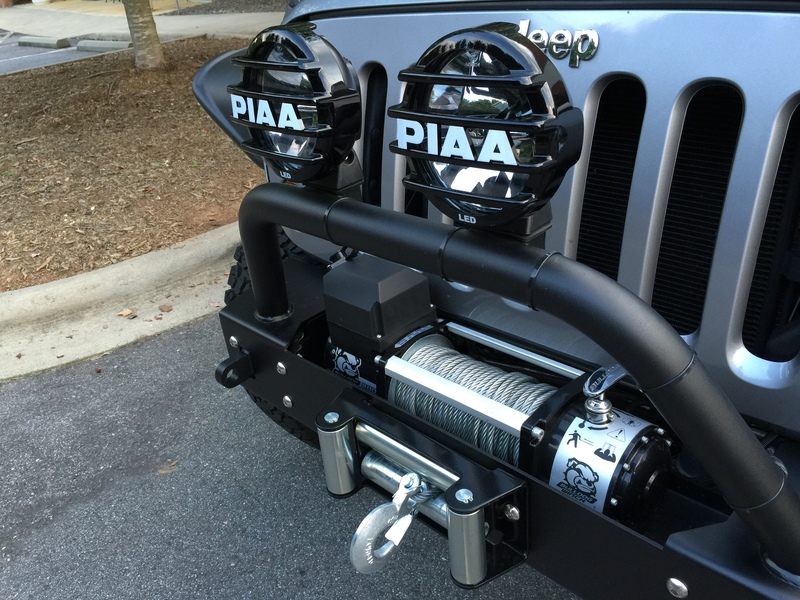 I was extremely thankful to gain an introduction to PIAA and a resulting sponsorship for our Jeep build. PIAA’s LP Series lights locate LED bulbs in round housings, just what I was hoping to find. 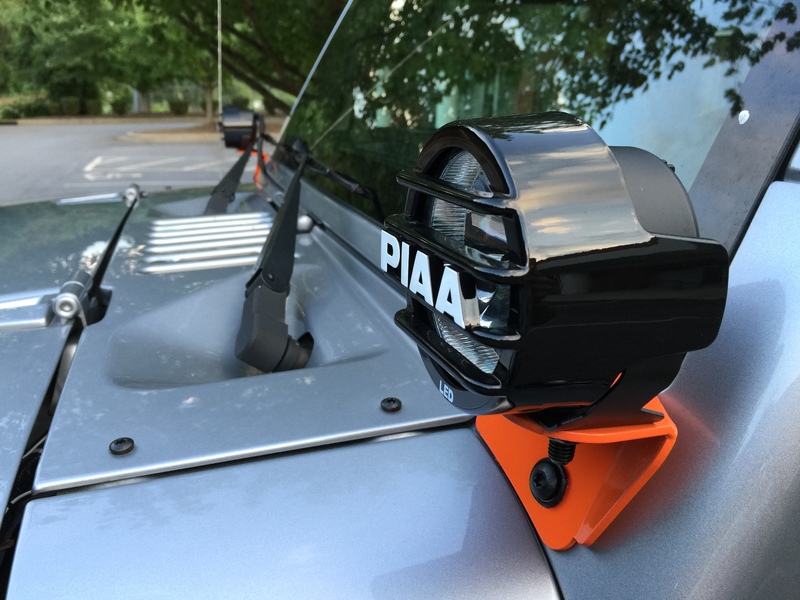 PIAA goes beyond simple LED lighting technology by facing the bulbs rearward into the lamp housing, bouncing the light off of a multi-surface reflector. The Reflective Facing Technology (RFT) focuses the beam of light more precisely than forward facing LED lights. The RFT design also allows for lower power consumption. I decided to go with 3.5? diameter lights for the windshield positions and 6? diameter lights for the front bumper hoop positions. 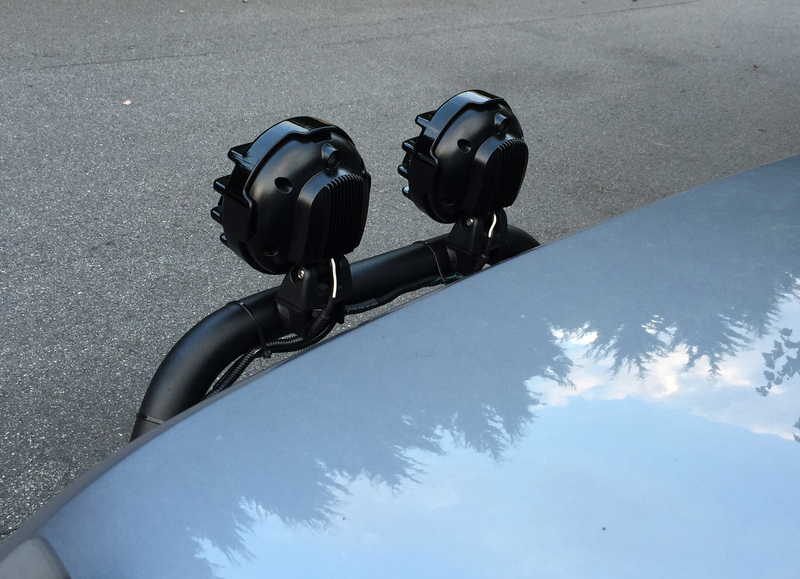 Starting with the windshield lights, I got to put in place the PIAA brackets that I had previously custom painted. 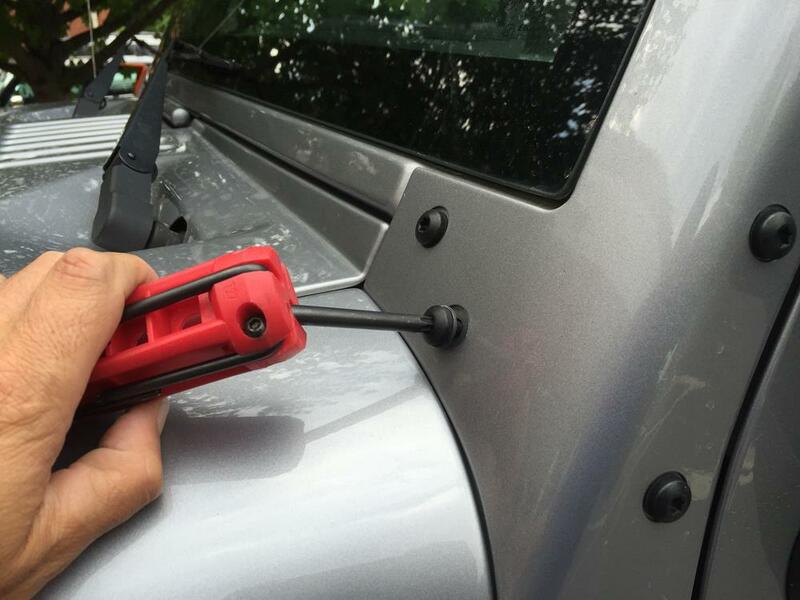 When tightening down the Jeep’s bolts through the brackets, the paint tore a bit-aaagh! 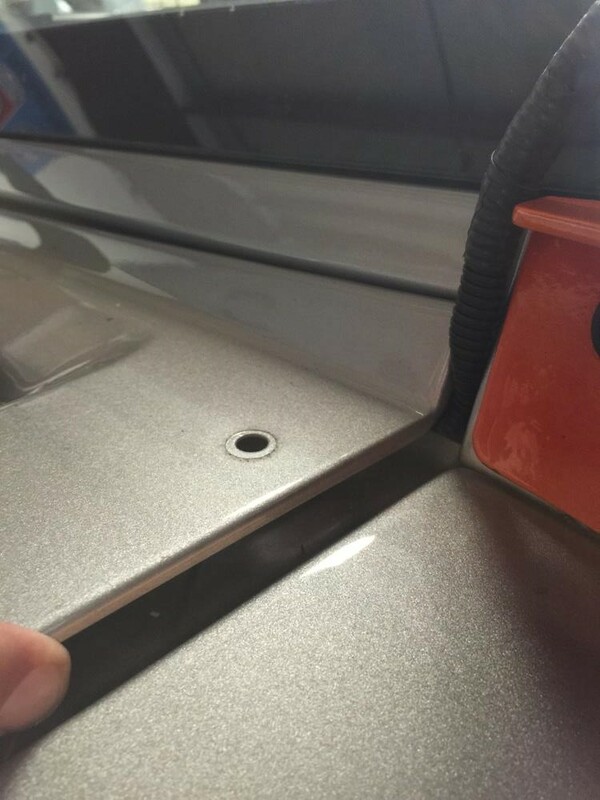 I went over to our customer, Advance Auto Parts, to hunt for rubber washers to put between the bolt and the bracket. 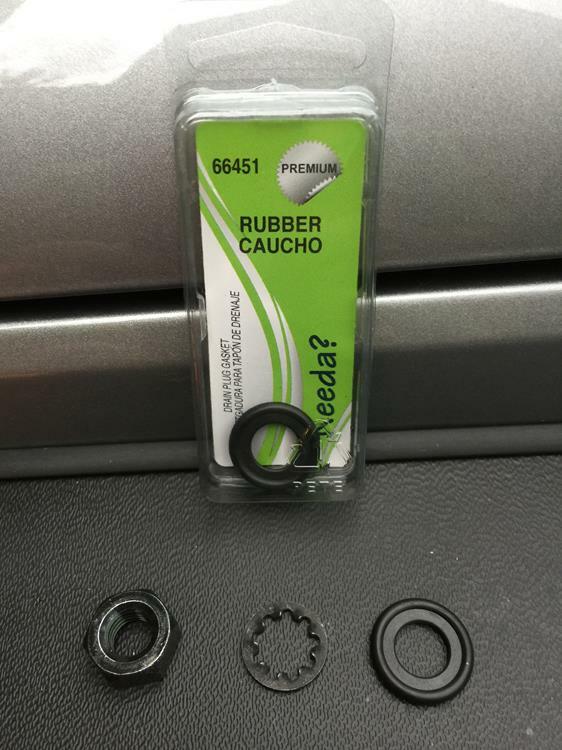 They didn’t have washers, but the helpful sales person led me to an aisle that had specialty parts and I found something that would serve my purposes. 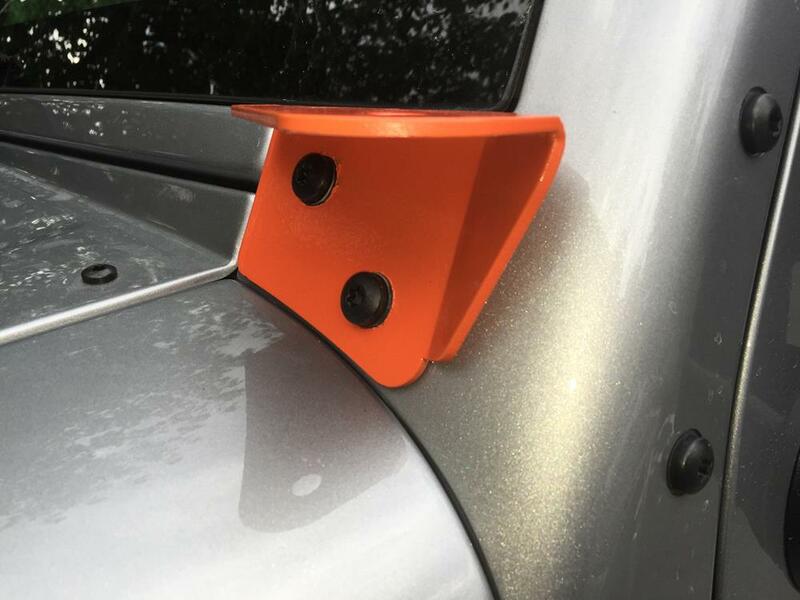 These “Cauchos”, as we are calling them, covered the torn paint and prevented any further damage. 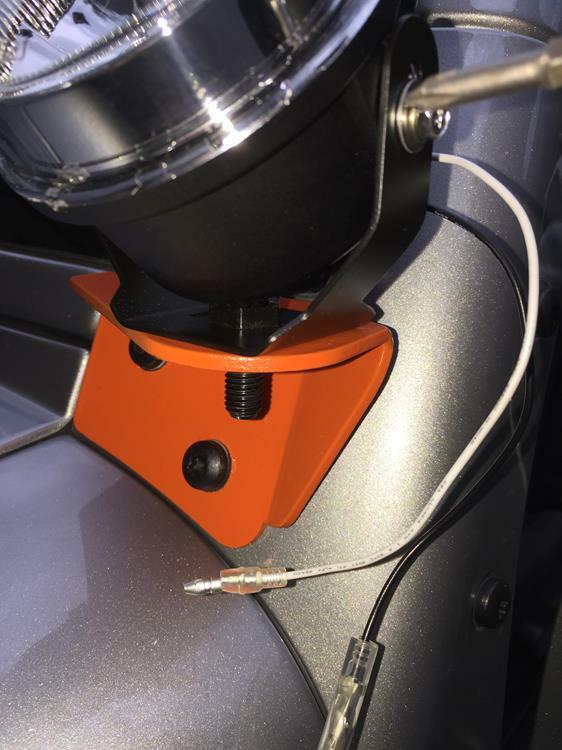 The light bolts to the bracket with (1) center bolt. To focus the light from left to right, it can be turned on its base before it is completely tightened down. The horizontal angle of the light is adjusted by loosening the screws on the side of the light housing. 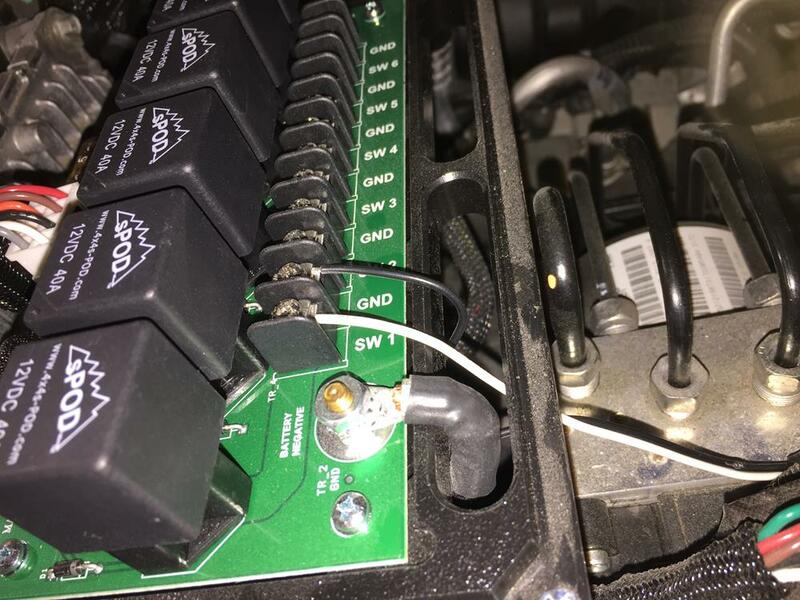 With Art Caldwell from T&A Offroad’s tutelage, I attached the wires to the wire connectors on the lights, covered the wires with conduit, unbolted the top panel behind the hood, and slid the covered wire down through the resultant gap. 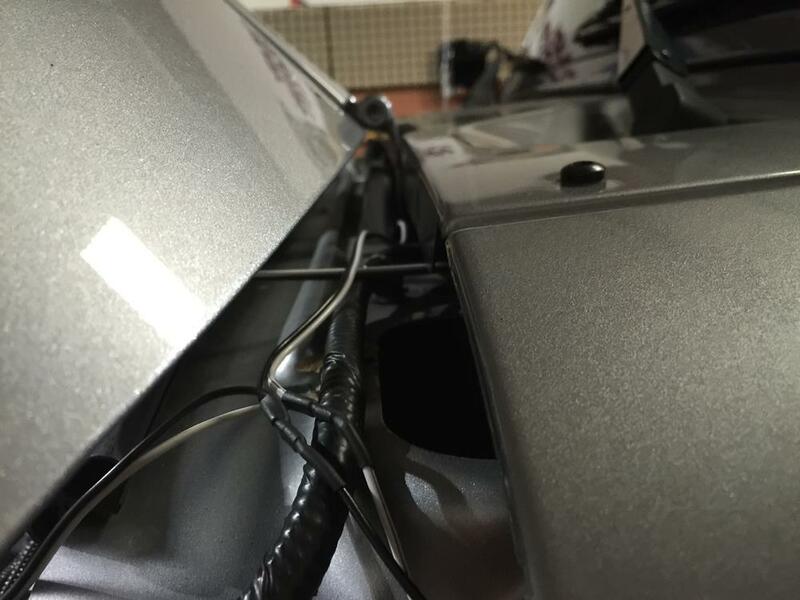 The passenger side wire runs all the way across the vehicle behind the hinges of the hood. 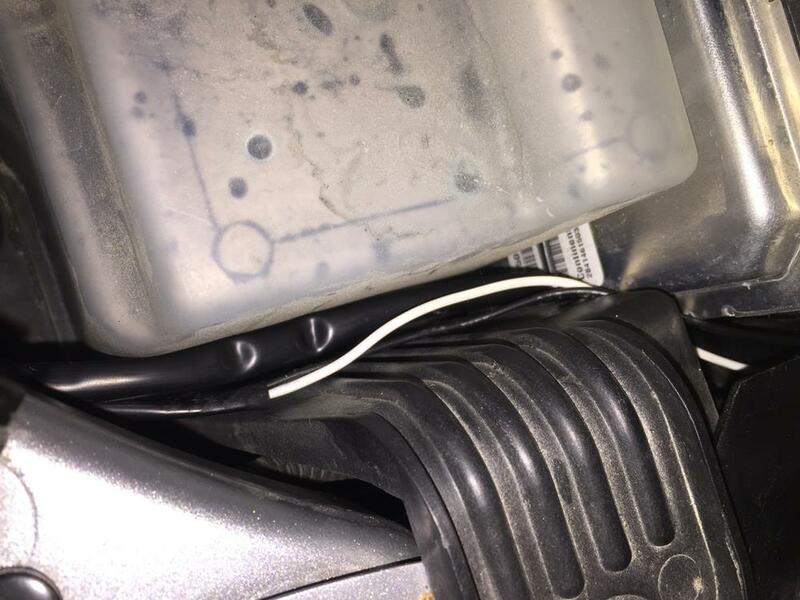 I zip-tied the wires to the sPod cable once in the engine compartment, following it down to the sPod controller. The wires connect to sPod controller, position 1. 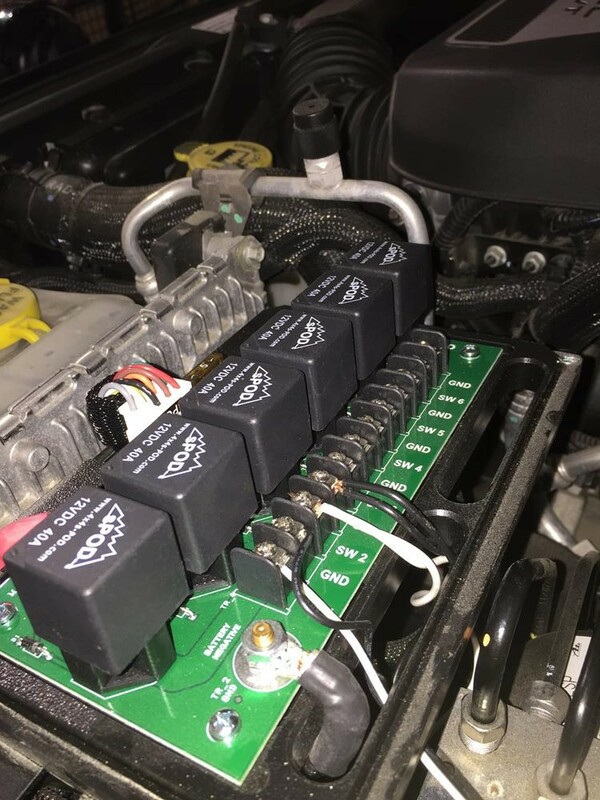 The controller has its own relays and fuses, making the installation quite simple. The larger lights attach with (1) center bolt as well. Their angles and positioning adjust the same way as the smaller lights. I ran the conduited cables from the passenger side to the driver side and zip-tied them to the hoop. I used my trusty coat hanger to fish the wires up through the engine compartment and ran them to the sPod controller, position 2. The lights produce a brilliant white beam that looks like something solid cutting across the black of night; talk about focused power. Of course, it is still necessary to fine tune your beam positioning once the install is complete (best done- the darker the better). I am going to wait to perform this last step until after the LED headlights arrive (see future post). I still have (4) vacant positions on the sPod switch panel, so we will see what happens next! For now, a successful, great looking, wonderful performing install.